Thank you for your interest in joining the Incarnate Word Academy family. Our faculty and staff members are committed individuals with a wide-range of experience and expertise. We are always interested to have talented people join our team. Diversity is evident among the excellent faculty who come from Corpus Christi and various parts of the United States. Approximately 38% of our staff is Hispanic; others are of European American origin. Fifty-three percent of our faculty holds a masters' degree. 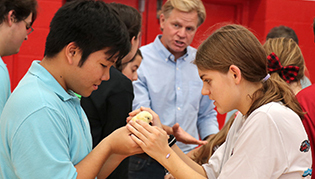 Faculty members bring a wealth of personal and professional experience to the school community. 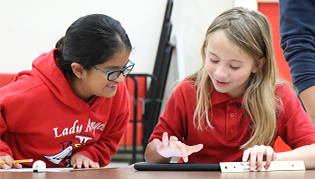 Teachers and staff at Incarnate Word Academy are dedicated team players who embrace the mission of the school, believe that all students can be successful, and hold high expectations for them. The faculty provides a variety of learning environments for the students and gives specific and timely feedback on their progress. Cooperative and competitive strategies are used. Teachers at IWA express ownership for school improvement and participate in curriculum development. Involved in spiritual and professional self-renewal, they model and promote lifelong learning. Believing in the power of the Spirit at work in the community, teachers nurture and promote the development of each student's individual strengths and talents. Developing a Christian community among our administration, faculty, and staff is on-going and fosters a family spirit and respect for the dignity of all people. 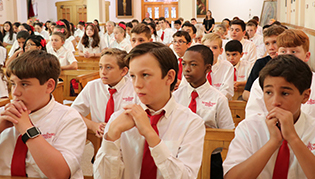 School activities, daily Mass, and special celebrations of the Eucharist, and normal school routine bring our family together for fun, work, and worship.